When organic materials like paper are disposed in landfills they decompose into biogas, containing methane, a greenhouse gas linked to global warming. Recycled paper fiber can be used towards paper manufacturing, reducing the need for virgin material. Making 1,000 kg of paper from recycled material conserves about 7,000 gallons of water, 17 to 31 trees and 4,000 kwh of electricity. Milling paper from recycled paper uses 20% less energy than to make paper from trees, with less pollution from transportation and chemical treatment. 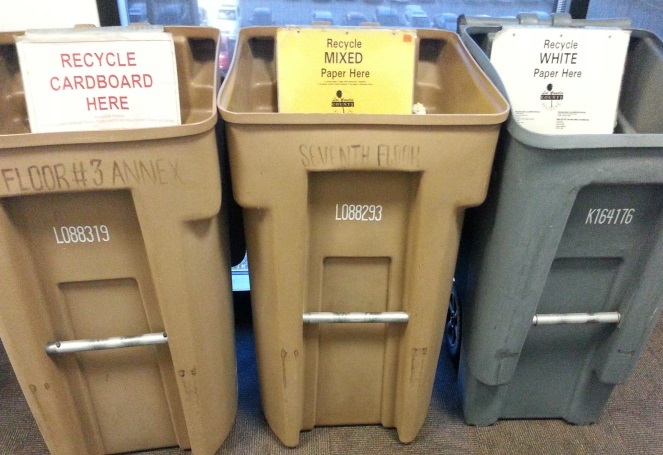 To request desk-side bins for your County facility, contact County Recycling Coordinator. To find other paper recycling companies, please access our recycler database at the Smart Business Recycling website. 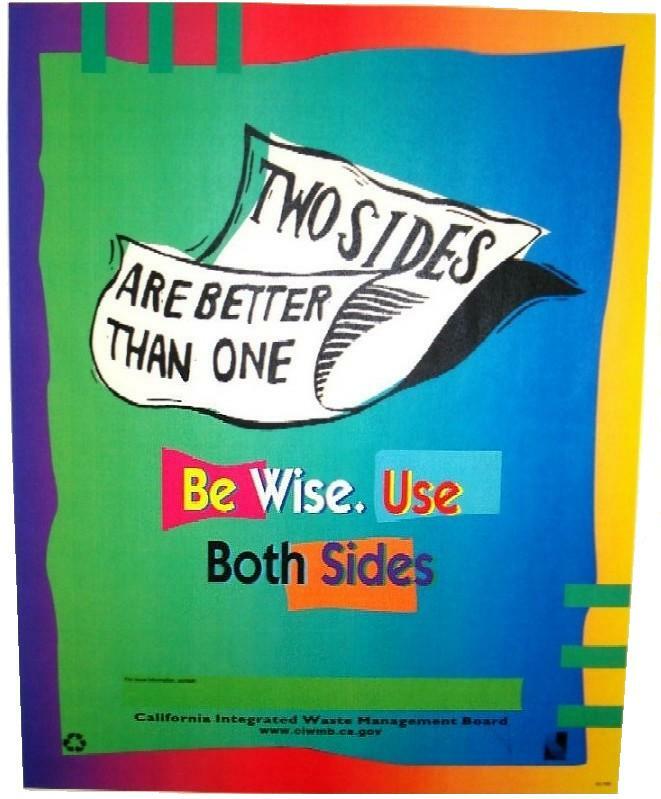 Set your printers and copiers for double-sided printing. 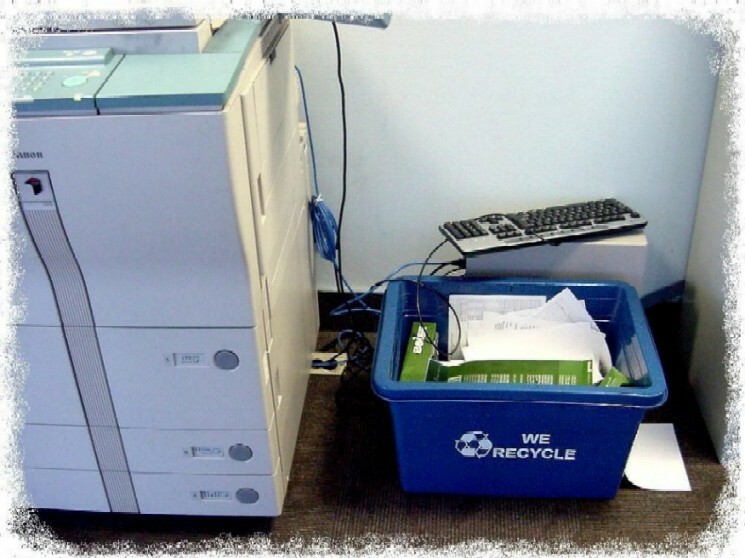 Place a desk-side paper bin next to your printer to collect paper for recycling. Place additional desk-side paper bins at employee workstations where needed. With less to trash, you can remove and relocate desk-side trash bins to be used by a local group of workstations instead of one at each workstation. Your department's Surplus Coordinator can send surplus desk-side trash bins to be used by other County facilities to the L.A. County Surplus Program. Buy recycled-content paper. To obtain this paper at discounted rates, refer to the Preferable Green Products page.